In an unprecedented move, Ramon Ang, President and CEO of San Miguel Corporation (SMC) has public announced his iron clad support for President Duterte despite the constant bad press that Duterte is getting from local and international media mainly due to his anti-drug campaign. SMC, one of the country's biggest conglomerate, announced that it is enormously investing in manufacturing and infrastructure because it believes that the reforms Mr. Duterte is implementing will pave the way for more opportunities for Filipino investors. Mark my word: This country will fly. This country will be a better place for our children and grandchildren because the drug problem will be eliminated under Duterte. SMC is building new airports, sea ports, railways and acquiring trains in anticipation of a more vibrant Philippine economy. Ang has also revealed that Petron, Philippines' leading gas company, is all set for an expansion. A project which SMC will also be partly part of. Ang disclosed that SMC will be tasked to build the gas company's petrochemical and power plants and cement factories. Ang added that if President Duterte solves the problems of criminality, illegal drugs and corruption, he will become the best president the Philippines has ever had. In a report by Reuters, a source privy to the information revealed that at least two dozen Filipino businessmen will accompany President Duterte in his visit to China slated on October 19-21, 2016. The talks during the visit is expected to center on the maritime disputes among the two countries and Duterte's intent to forge a "stronger commercial relationship" with Beijing. Duterte has been trying to ease tensions with China saying he wanted to solve the country's spat with China without US' intervention. According to one diplomatic source, Duterte would meet both Chinese President Xi Jinping and Premier Li Keqiang in Beijing. It was not immediately clear who the business delegation would meet in China and what would be discussed. The trip also shows Duterte intends to re-fashion a foreign policy for years aligned with the United States and its allies. He has spoken only vaguely of his strategy, but has singled out Russia and China as would-be commercial partners. Duterte said on Wednesday joint marine drills with the United States would be the last. Philippine officials said they were awaiting clarification but Duterte's comments signal he is willing to test the limits of Manila's historic alliance with Washington, which has provided important defense support for the Philippines and helped the United States further its Asia rebalance strategy in the face of an increasingly assertive China. 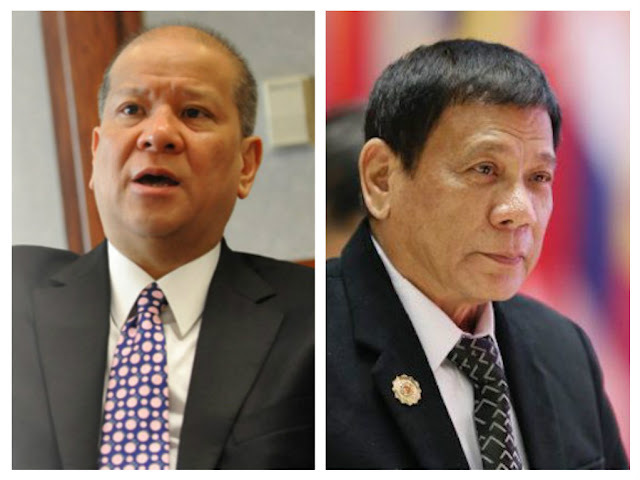 The Philippines president's foreign policy pronouncements have been baffling at times. Despite his outreach towards China, he has accused Beijing of bullying Filipino fishermen and being dishonest about its activities in the disputed Scarborough Shoal. China lost to the Philippines in an international arbitration ruling in July. Beijing refuses to recognize the case.